Since I was working on Christmas I wanted to bring a bit of home with me, since it’s never fun being far from home during the holidays, when everyone else is celebrating with friends and family. 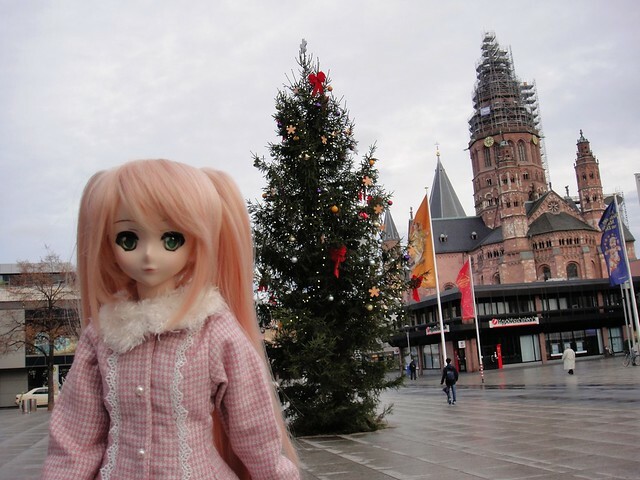 Since I was in Mainz, Germany, I brought Gabrielle with me since it’s kind of her Vaterland ^__~” (I’ve always thought that her DDS Akira default outfit was very German looking). My original plan was to dress her up in her default outfit but I really didn’t like it AT ALL and couldn’t change her out of it fast enough! So instead she dressed for a chilly winter day! It was a windy day and Gabi’s hair was blowing all over the place. This huge 5-Tier Christmas Pyramid was rotating with cute characters on it. Smaller ones are traditional decorations in Germany homes, with candles at the base. The warm air from the candles rotates the fan at the top making the pyramid turn – and I’ve seen some very beautiful and ornate ones. I saw some beautiful (and expensive!) hand-crafted Christmas Pyramids at the Christmas Market in Vancouver a couple of weeks ago. Puppy52 took some nice photos there with Aki and you can see some some of the handcrafted works in her blog photos. The Weihnachtsmarkt (Christmas Market) had concluded the day before I arrived, but the traditional-style wooden stalls were still set up at the base of the cathedral. 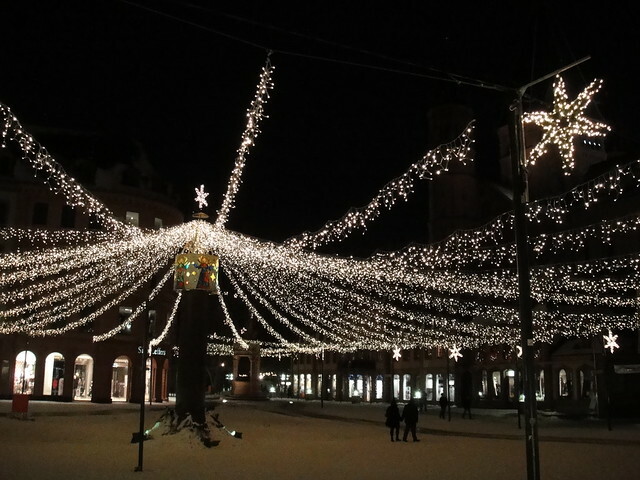 Most Christmas markets in Germany open towards the end of November up until December 24th. The area is very beautiful in the evening when all the lights are turned on! 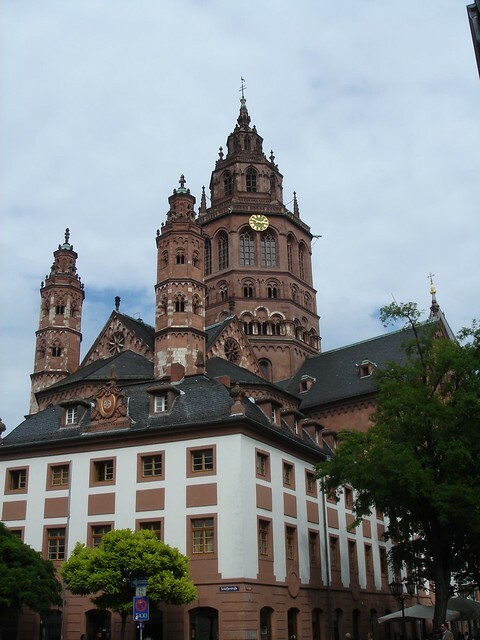 December 25 & 26 are state holidays in Germany so 99.9% of the shops and restaurants are closed. Even McDonald’s was closed! The only shops that I found open were at the Hauptbahnhof (train station) but even there not everything was open. The handful of restaurants that were open around town had a limited menu available, or set menu meals. Since the shops were closed and the streets were quite empty it was actually a bit eerie wandering around the city. 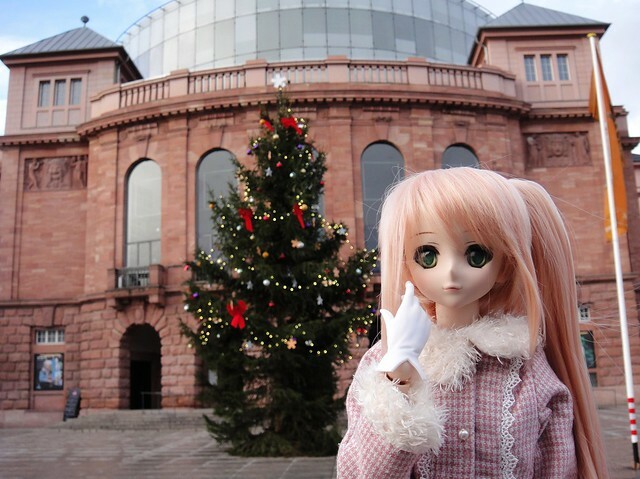 This entry was posted in Dollfie Dream and tagged Dollfie Dream, Gabrielle, Germany by archangeli. Bookmark the permalink. Aiyah – maybe it’s her peach wig but when I had her dressed in the Akira default outfit, I showed hubby and asked him what he thought and he made a 0_0″ face and told me it looked terrible! Other than the shoes, I loved the shoes and still have those, LOL. The setting was wonderful, although it’s too bad you had to be away from home.